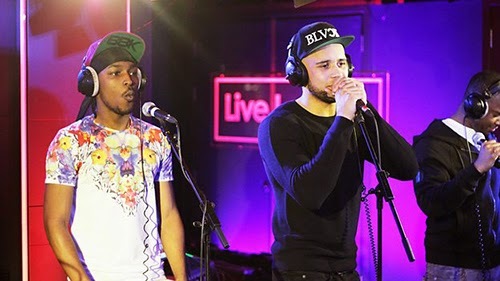 Following a performance of Meridian Dan's new single "German Whip", Meridian Dan, JME and Bossman performed a cover of The Streets' "Blinded By The Lights". I'm loving the shine that this tune is getting, hopefully it's the first of many Grime bangers to get main stream appreciation. "German Whip" will be released on April 13th and you can Pre-Order now on iTunes.